Bring out your creative builder inside of you. 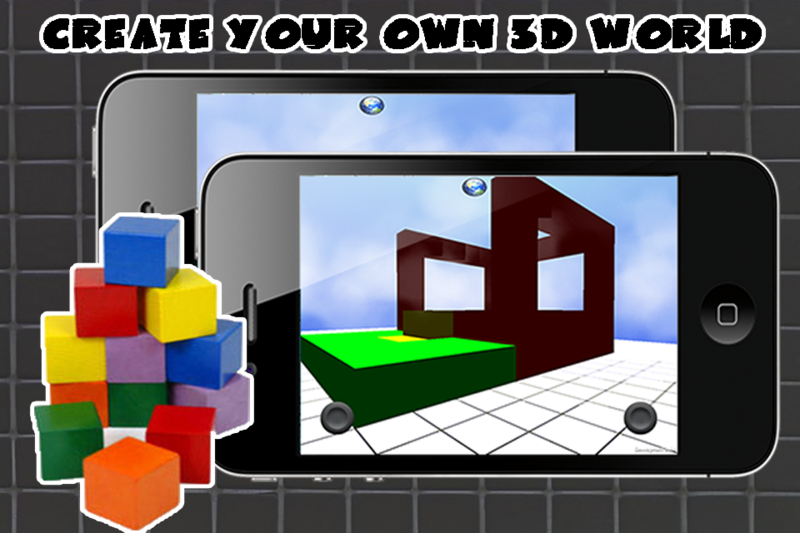 Build your own 3D world with eight different colored blocks to choose from. Sliding the screen with two fingers left and right allows you to move along the grid, and use the magnifying glasses to zoom in and out. Drop down into first person view and walk around your newly created world. Use the left joystick to walk and the right joystick to look around. 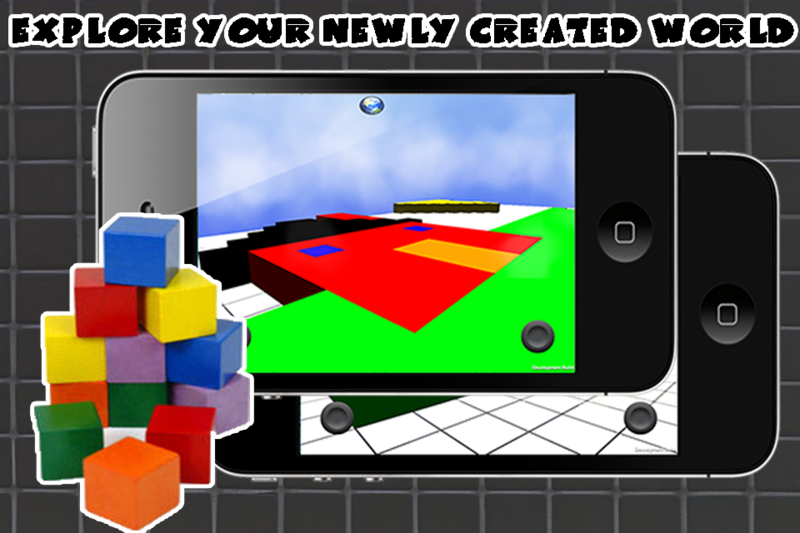 Double tap the right joystick to jump onto blocks. Small adjustments on some windows for readability.